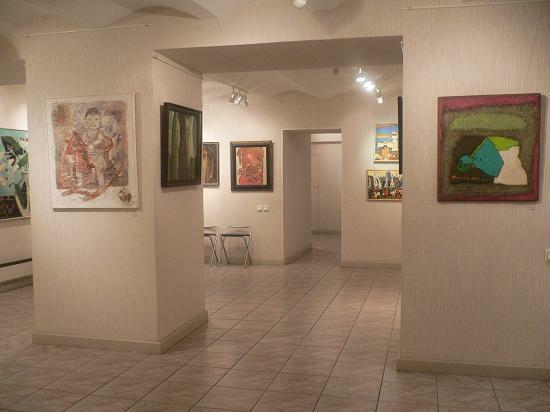 «S.P.A.S.» Gallery, established in December 1990, acquired authority among the galleries of Saint-Petersburg. It serves as a base for reconciliation and cooperation of various styles and directions of contemporary art. Gallery leads own policy, working with masters of Saint-Petersburg, exposing into its rooms the works of museum level. Works by our artists are kept into largest museums of France, Russia, America. Priority for gallery also is an aid for non-commercial art-associations, which are successors of Russian art traditions. Besides the serious status on Saint-Petersburg art arena, «SPAS» Gallery welcomes progressive innovations, promotes unknown names and propagandizes creation of young talented artists, helps to find own position in art. «SPAS» Gallery is original art-center, having own face and position, supporting traditions of Russian art and open for the new. Gallery has a valuable experience in exhibition arranging in European art media (moreover 40 exhibitions).